Goblet of Fire marks a pretty significant shift in the Harry Potter series. For one, there’s the fact the book is about three times the length. There’s also a noticeable departure from the cosiness of the first three books; by Goblet of Fire, J.K.’s bringing us into some pretty dark territory. But most significant of all, of course, is the fact that Book 4 is when we finally learn how to pronounce Hermione’s name. @eggplantblog YES ABSOLUTELY, and very embarrassed to say so!!!!!!! @eggplantblog Haha it’s not just non-UK people! Until this bit of the book I thought it was pronounced Her-me-own. @eggplantblog YES. It wasn't til the films came out and it became socially unacceptable to get it wrong that I actually admitted defeat. I’m feeling pretty smug about myself here, because I knew how to pronounce Hermione’s name all along (I had a Hermione in my class at school) — and I had also been pronouncing Voldemort without the “t” for a few years before this revelation suddenly hit the mainstream. So there. But that’s the last time you’ll catch me being smug today. When I went to my parents’ house this weekend, my dad suggested that I hadn’t eaten quite enough humble pie for having made such a song and dance in the past about not liking Harry Potter, considering that I talked about practically nothing else all weekend. So yeah, I take it all back. I’m a Potterhead now. And Goblet of Fire might just be the best in the series so far. The majority of our #SiriusReaders tweets this time round consisted of us quoting and screenshotting our favourite parts — which turned out to be basically all of it. "But Master…it's a snake. Reptiles can't–"
But while I did love it, I seriously struggled not to spend my whole reading experience wallowing in misery — because J.K. made this book way too sad. As ever, much of the book was really relatable. Considering it’s about a magical world full of witches, wizards and dragons, that’s pretty impressive. …which is a complaint that I don’t think is going to go away. J.K. has been very vocal about Hogwarts being a safe space for LGBTQIA+ individuals, which is great, but I’d like to have seen a bit more evidence of this. The only known gay character (as far as I’m aware) is Dumbledore, whose sexuality is never actually addressed within the books, and who J.K. later revealed to be asexual. Considering gayness is often equated in popular culture with singledom/a lack of sexual prowess (just think how many times you’ve seen a punchline revolving around a perpetually single character’s friends and family having assumed they were gay just because they’d never seen them with a partner), this just plays into a disappointingly frequent misrepresentation of both gayness and asexuality. My other complaint is much more minor — but why all the fathers and sons with the same name, J.K.?! This is a fairly rare tradition in the UK anyway (with the exception of old British monarchs, I usually think of this as a very American thing to do), so I’m not sure why she needed to confuse me twice in the same book by throwing in extra Tom Riddles and Barty Crouches that weren’t the ones I thought they were. OK, got my grumbling out of the way — and back to my favourite tweet from Goblet of Fire. 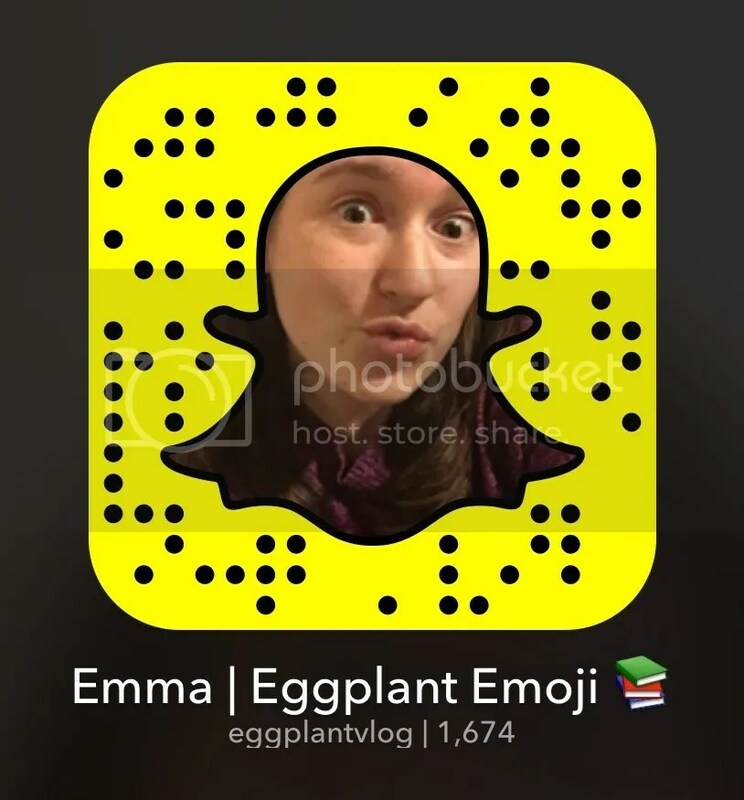 If you’re down with the teens, you should follow me on Snapchat (eggplantvlog) and catch all my ramblings on the fly. Don’t forget to follow along with #SiriusReaders on Twitter, and see you on the other side of Order of the Phoenix! Why don’t I love Harry Potter?